The first-person dungeon-delving adventure Shadowgate is out now on Nintendo Switch via the Nintendo eShop for $19.99. journey. 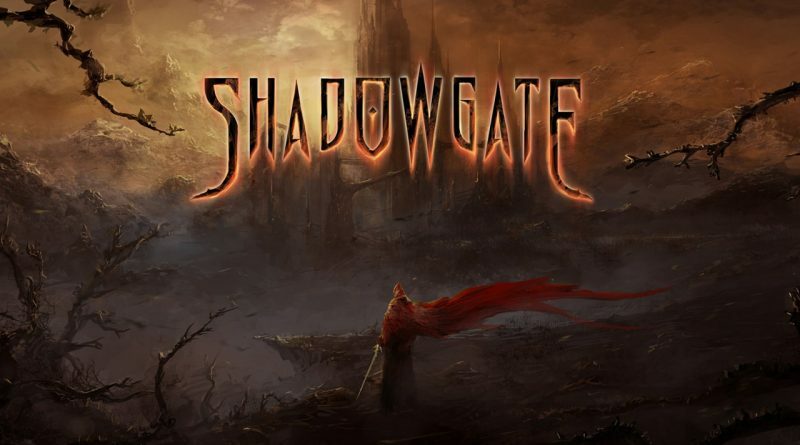 Shadowgate is a perfect tribute to the cult classic first-person, point-and-click adventure. Rebuilt from the ground up, it retains the fantasy story and fiendishly hard puzzles that made the original beloved when it released over 30 years ago, while also growing and evolving theexperience. To make sure every element of Shadowgate was authentic for the 2014 PC remake, the original game directors returned as part of Zojoi. The result is that the dungeon now has more locations, all filled with story and puzzles that together expand on the world while remaining in keeping with the classic’s feel and tone. The instantly noticeable difference in this loving recreation of Shadowgate is its stunning art. Delivering on a promise that was only in the team’s imagination back in 1987, the 2D hand-drawn world and items add a fresh look that helps illuminate every environment, item and puzzle. To further enhance the experience for this console port, the interface has been painstakingly overhauled and optimized. Radial menus allow for faster selection of items and actions for heroes attempting to survive their journey to defeat the malevolent Warlock Lord. Those wanting a more traditional Shadowgate experience can choose to make the game more challenging by selecting a higher difficulty level from the four available and reverting both the graphics and audio back to a more retro-style! Utilize your inventory, mapping system and intuitive UI to complete your quest. Tons of beautifully illustrated rooms featuring both new and familiar locations, offering a fresh gameplay experience. Lots of new and updated puzzles that seamlessly expand on the original game. Four different difficulty levels (from novice to expert) that actually change the gameplay experience and puzzle structure. Play the game like it’s 1989! Toggle on to listen to Hiroyuki Masuno’s original chiptunes, move between rooms with pixelated transitions and follow the text in retro format. Shadowgate features dramatic cut-scenes and all the same great storytelling you expect from the original creators. A digitally-orchestrated, dynamic soundtrack that changes with gameplay by composer Rich Douglas. A complete atmospheric and puzzle-based sound design featuring hundreds of sound effects.